Back in the saddle again! I pulled out Princess Grace, asked The Architect to give her a tune-up and hit the trails with the family for the first time in what feels like forever. Thirty some miles on Saturday morning, sixteenish on Sunday. I no longer have the opportunity to ride during my lunch hour, so I’m going to start working some pedal time in on weeknight evenings. Yes, I can, because those man-boys at my house are learning to cook and are perfectly capable of preparing dinner in my absence. Or they can just ride with me and we’ll eat later. Aging. It occurred to me that between Mr. Pea and I, we’re 100 years old – 100 years worth of grace, love and life. I recall feeling slightly anxious when I was interviewing for the new job about the fact that I am no longer a young woman, fresh and bright with anticipation of things to come. It’s okay, though. I can claim some small portion of wisdom; experience enough to be truly compassionate; and a richness of blessings that I didn’t have in my youth. …except mine will be a marvelous shade of green at the inside edge and a luscious thistle purple at the outside edge, with a variegated green/purple/beige in the middle. Because I like green and purple together. Really. DirtBike has a new [to him] toy – a Nitro RC car that goes really, really fast. Really. Fast. It needs some work, and he’s all excited about fixing it up and making it better. Faster. Faster, I tell you! We’ll find some, or it will find us. Oh wait! We saw the new Superman movie. It was good. There were LOTS of explosions, buildings tumbling, and destruction of public property, though. The daughters and I thought Superman was cute. Mr. Pea and the sons liked it. 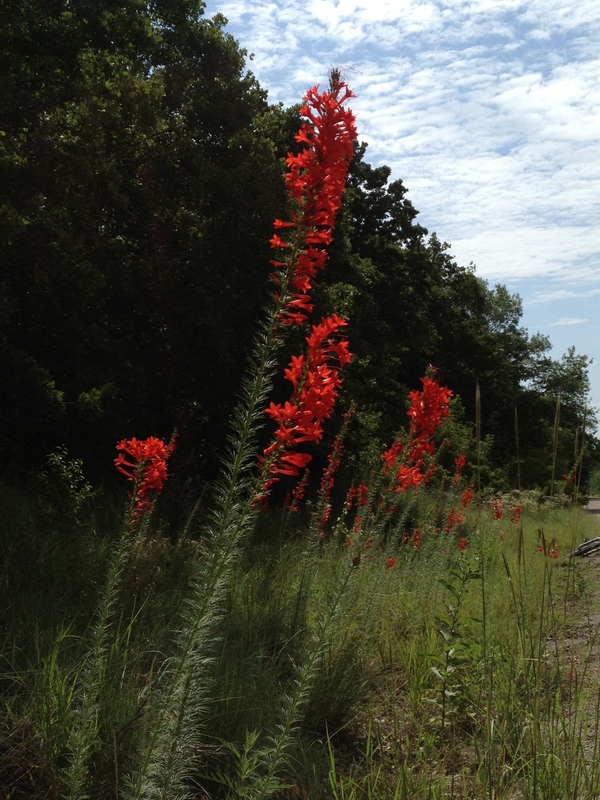 Texas Plume (ipomopsis rubra) along the bike trail. My phone can’t quite capture the luminosity of this wildflower. It positively glows in the sunlight. More reading classes for DirtBike. School books for the fall semester are beginning to arrive in the mail. Princess Pea and Cherry Ames coming home more frequently. Cherries are in season! Whoa. Is June really more than half way over? ACK!!! Interesting week! ‘Hope your summer will pan out nicely. Oh but if you add ours together …. we’re 105 but I’m pretty sure that Jim’s got the smarts of all that and more, me … a bit slower. I hope your neighbors find what they need. Your kids are awesome. 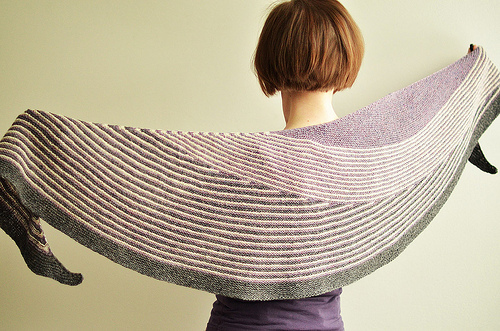 That shawl/wrap looks awesome. I wish I could do something like that. I can sew up something but not needle work. I am so glad to be done with the school stuff. Now Mike has a full time, he loves, job and just a student loan to work off. June is almost done but we have a huge chunk of summer left, enjoy it. Take care Angela and have a blessed day/week! Thanks for the info. Boo. I have peeked into bloggie land. Glad to see you going strong. Gonna circulate again soon. Happy Summer 2013!